Grapes: The result of meticoulous assemblage of Tenuta's grapes. Characteristics: A classic Bordeaux style blend a meticulous assemblage of the Tenuta's grapes. "Terre" retraces the terroir path trod by its prestigious sibling, "San Leonardo" matching its intensity and refined elegance. Sensory Analysis: Brillant ruby red, with attractive depth and decent lenght. The aromas are alchol and fruit-rich when the wine is young, later mellowing with bottle age into ripe plum fruit layered over a faintly grassy background note. Dry, soft and well-balanced on the palate, it reveal a pleasing bitterish twist in the finish. good aromatic length. "Wine Spectator" has rated the wine "Guerrieri Gonzaga Tenuta San Leonardo 'Terre di San Leonardo' Vigneti delle Dolomiti IGT, Trentino-Alto Adige, Italy" from the vintage 2011 on 31.05.2015 with 89 of 100 points. "Wine Spectator" has rated the wine "Guerrieri Gonzaga Tenuta San Leonardo 'Terre di San Leonardo' Vigneti delle Dolomiti IGT, Trentino-Alto Adige, Italy" from the vintage 2009 on 15.06.2013 with 87 of 100 points. "Vinous Antonio Galloni" has rated the wine "Guerrieri Gonzaga Tenuta San Leonardo 'Terre di San Leonardo' Vigneti delle Dolomiti IGT, Trentino-Alto Adige, Italy" from the vintage 2009 on 01.05.2013 with 86 of 100 points. "Huon Hooke" has rated the wine "Guerrieri Gonzaga Tenuta San Leonardo 'Terre di San Leonardo' Vigneti delle Dolomiti IGT, Trentino-Alto Adige, Italy" from the vintage 2009 on 21.02.2013 with 88 of 100 points. "Wine Enthusiast" has rated the wine "Guerrieri Gonzaga Tenuta San Leonardo 'Terre di San Leonardo' Vigneti delle Dolomiti IGT, Trentino-Alto Adige, Italy" from the vintage 2007 on 07.01.2012 with 90 of 100 points. 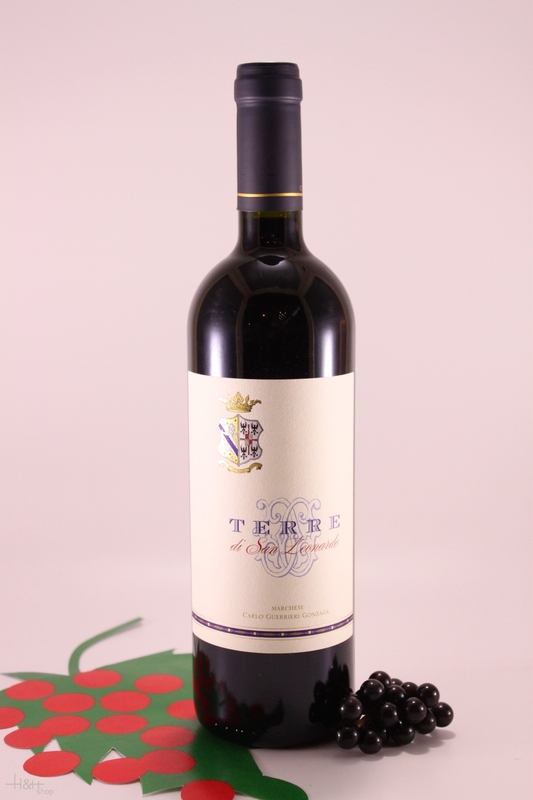 "Vinous Antonio Galloni" has rated the wine "Guerrieri Gonzaga Tenuta San Leonardo 'Terre di San Leonardo' Vigneti delle Dolomiti IGT, Trentino-Alto Adige, Italy" from the vintage 2008 on 01.02.2011 with 90 of 100 points. "Vinous Antonio Galloni" has rated the wine "Guerrieri Gonzaga Tenuta San Leonardo 'Terre di San Leonardo' Vigneti delle Dolomiti IGT, Trentino-Alto Adige, Italy" from the vintage 2007 on 01.02.2011 with 88 of 100 points. "Wine Enthusiast" has rated the wine "Guerrieri Gonzaga Tenuta San Leonardo 'Terre di San Leonardo' Vigneti delle Dolomiti IGT, Trentino-Alto Adige, Italy" from the vintage 2006 on 11.01.2011 with 89 of 100 points. 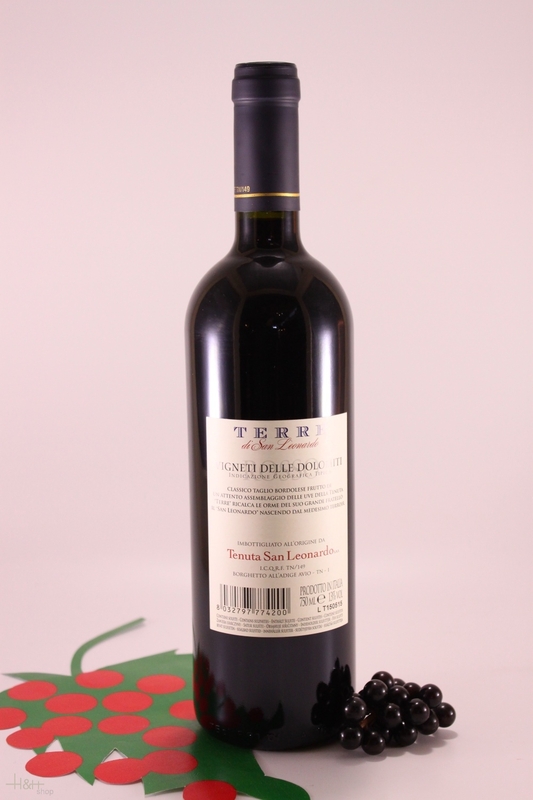 "Stephen Tanzer" has rated the wine "Guerrieri Gonzaga Tenuta San Leonardo 'Terre di San Leonardo' Vigneti delle Dolomiti IGT, Trentino-Alto Adige, Italy" from the vintage 2008 with 88 of 100 points. Nobile Riserva - 1997 - winery Valdipiatta Tenuta 40,35 EUR / 53,80 €/lt. Guidalberto - 2002 - Tenuta San Guido 48,35 EUR / 64,47 €/lt.